As Christmas draws nears we must hold close to our hearts the valiant service ofthe many men and women of this great nation’s military who are deployed all around the globe. 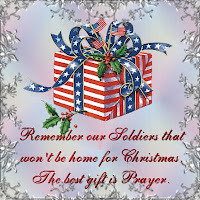 They will not be with their loved ones sharing in the delight and festivities that this holiday time of year brings. Rather they will, again, be standing guard and watch as freedom and liberty enjoy another season of celebration. a holiday that this nation cherishes, and in the religious fashion people choose to do so. 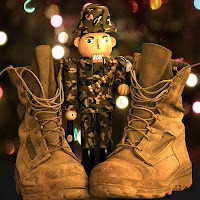 Christmas will also bear the marks of the brave and courageous who have fallen in the line of duty. The families and loved ones they have left behind will have empty places and heavy hearts that are still healing from their loss. Let us honor them in remembrance of their ultimate sacrifice both in deed and in prayer. We are thankful for those who have safely returned and let us always show our gratitude for their patriotic service. This Christmas Poem is dedicated as a tribute to our military men and women, and whose service and sacrifices will never be forgotten.